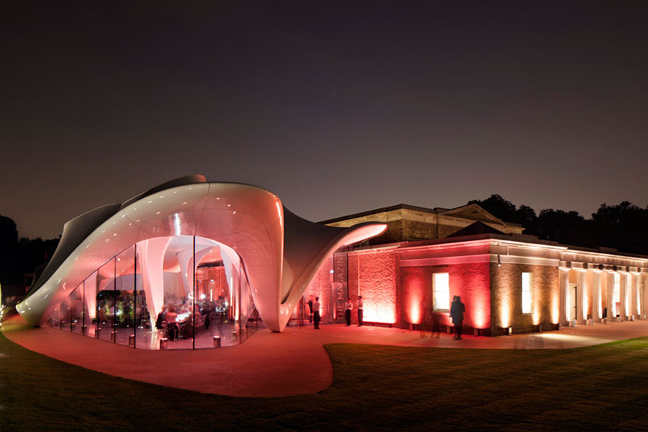 The Serpentine Sackler Gallery, designed by Pritzker Architecture Prize laureate Zaha Hadid, opens to the public on Saturday 28 September 2013. The Serpentine Sackler Gallery gives new life to The Magazine, a former 1805 gunpowder store, located five minutes walk from the Serpentine Gallery on the north side of the Serpentine Bridge. With 900 square metres of new gallery, restaurant and social space, the Serpentine’s second space in Kensington Gardens is a new cultural destination in the heart of London. From this autumn, the Serpentine presents its unrivalled programme of exhibitions and events across both Galleries and into the Park. The new Gallery is named after Dr Mortimer and Dame Theresa Sackler, whose Foundation has made the project possible through the largest single gift received by the Serpentine Gallery in its 43-year history. Major funding has also been awarded by Bloomberg, long term supporters of the Serpentine as well as sponsors of the opening exhibition. 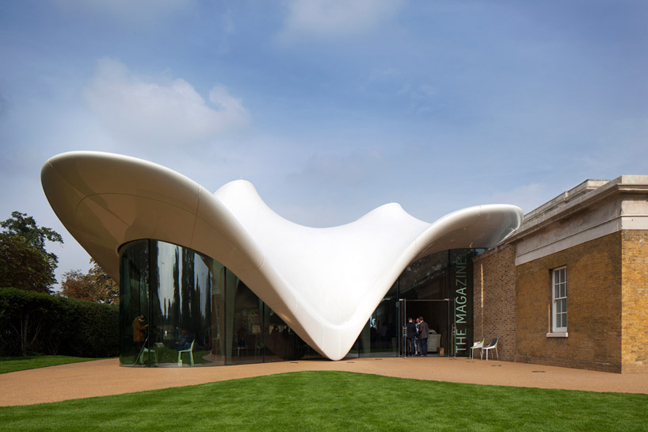 The Serpentine Gallery has restored the building to an excellent standard, in partnership with The Royal Parks, renovating and extending it to designs by Zaha Hadid. A light and transparent extension complements rather than competes with the neo-classical architecture of the original building. 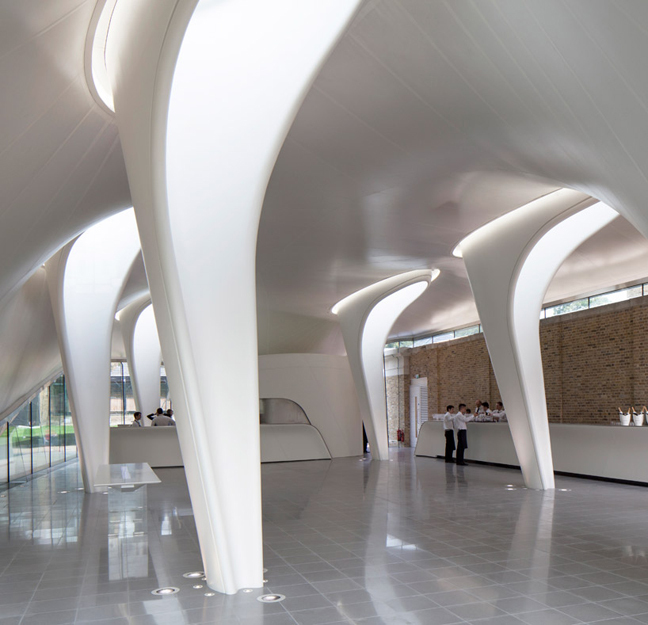 It is the Zaha Hadid Architects’ first permanent structure in central London and continues a relationship between the Gallery and the architect, which began with the inaugural Serpentine Gallery Pavilion Commission in 2000. The landscape around the new building will be designed and planted by the world-renowned landscape artist Arabella Lennox-Boyd.